The picture above is of me and Yong Zhao – the incredible person we had the honor and privilege of meeting. 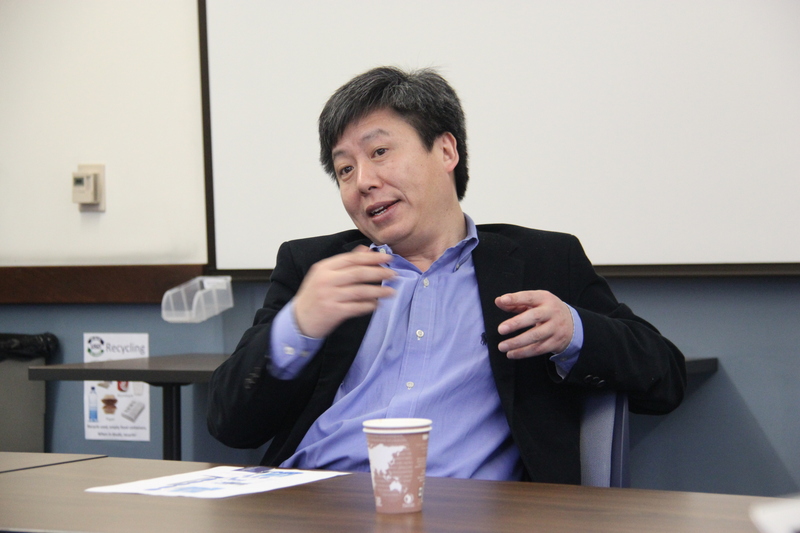 Dr. Yong Zhao is an internationally known scholar, author, and speaker. His works focus on the implications of globalization and technology on education. He has designed schools that cultivate global competence, developed computer games for language learning, and founded research and development institutions to explore innovative education models. He has published over 100 articles and 20 books, including Catching Up or Leading the Way: American Education in the Age of Globalization and World Class Learners: Educating Creative and Entrepreneurial Students. He is a recipient of the Early Career Award from the American Educational Research Association and was named one of the 2012 10 most influential people in educational technology by the Tech & Learn Magazine. He is an elected fellow of the International Academy for Education. His latest book World Class Learners has won several awards including the Society of Professors of Education Book Award (2013), Association of Education Publishers’ (AEP) Judges’ Award and Distinguished Achievement Award in Education Leadership(2013). In addition to all the great achievements of Dr. Zhao listed above, I can say that he is a very effective communicator, charismatic leader and an amazing person. Unlike most visitors to University of San Diego Educational Leadership Development Academy Spotlight on Education speaker series, we, thanks to our great friend Rich Thome (the Director, Professional Learning for the Mobile Technology Learning Center (MTLC); Co-Director of the Educational Leadership Development Academy (ELDA) in the School of Leadership and Education Sciences at the University of San Diego), were fortunate to attend 3 meetings with Dr. Zhao for various audience groups. 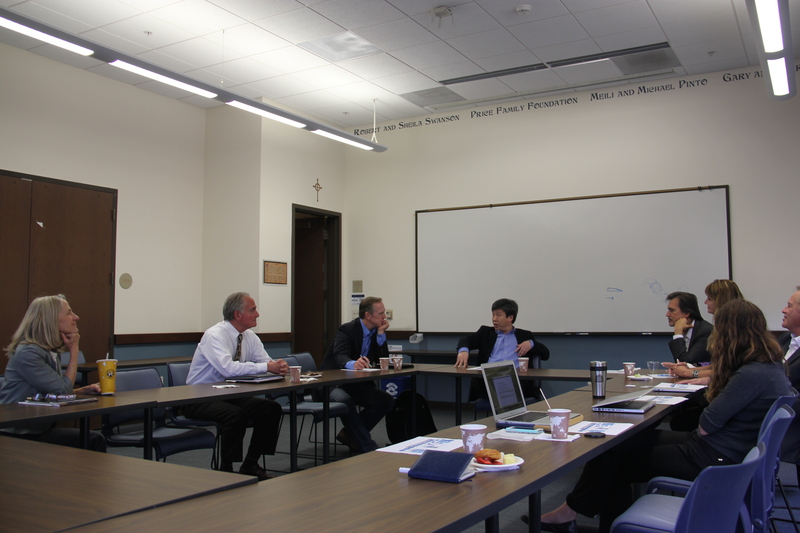 First – breakfast meeting with Dr. Zhao. Here, we discussed the rising tide against Common Core, the concept of equalized educational opportunity vs. equalized educational outcome, authoritarian approaches implemented by governments, educators and people in general in their everyday lives, the problems of authentic learning opposed to authentic assessment, the effort invested in trying to invent the best pedagogy and, on the whole, the possibility of its existence. In the afternoon, we gathered again and, at this time, with a different audience. 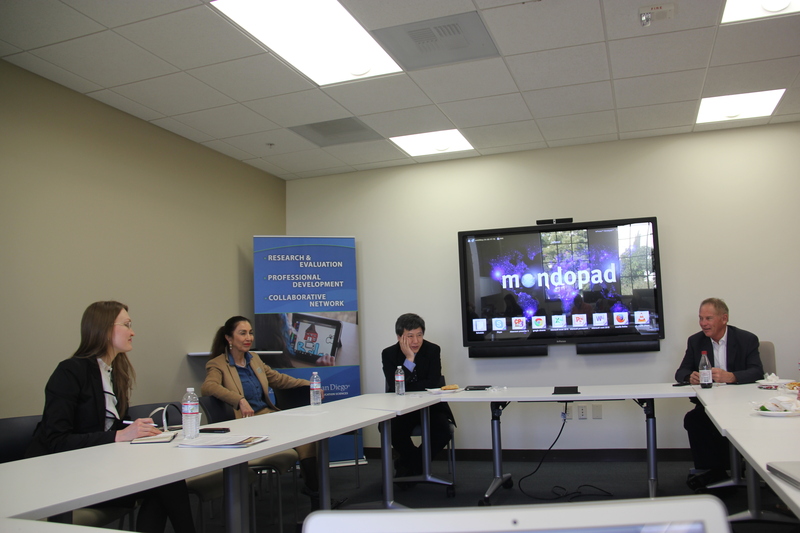 We talked about new approaches to college education and existing models, worldwide. The idea I found particularly interesting and would like to cite here is that “America has never been successful by copying others, but by inventing its own concepts, by advancing itself”. I like to believe that in many ways in my life and career I am adopting this originative approach by trying to constantly challenge and advance myself in finding new ways of task-setting and problem-solving. Also of interest to me was the concept of individuality in educational paradigm. All humans are born with creativity as their inherent instinct. The degree to which this instinct is cultivated, along with the personal pathway the students choose, the varied social connections they build in their college years, in many ways predetermines their educational outcome. This is how the fact that, even with the same curriculum, university graduates vary greatly in their skills, abilities and career prospects, can be explained. 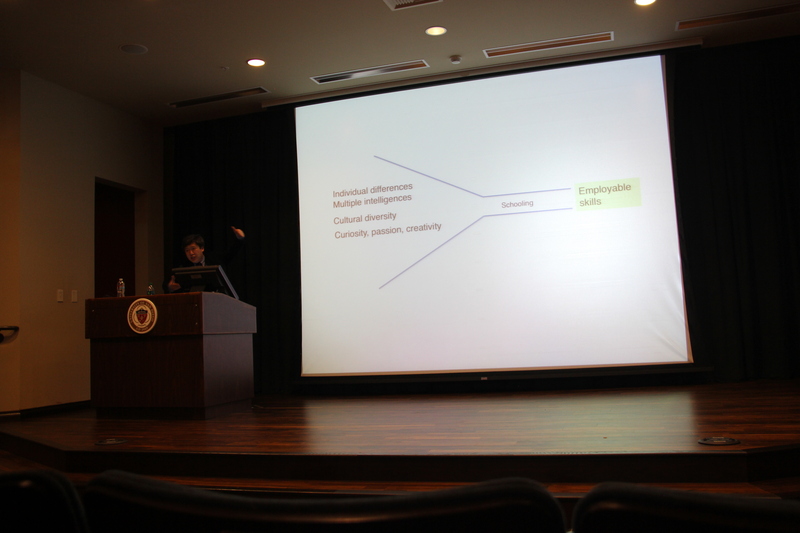 In the evening, we moved to a larger auditorium, where Dr. Zhao gave the most interesting lecture on education in the age of globalization. I love the informality and vividness, at the same time incredible deepness and seriousness with which he talks on vital matters. I would highly recommend Dr. Zhao’s book, “World Class Learners”, to everyone interested in the future of education, i.e. the future of humankind. Thanks to Dr. Zhao and everyone who made this incredible day of inspiration our reality!